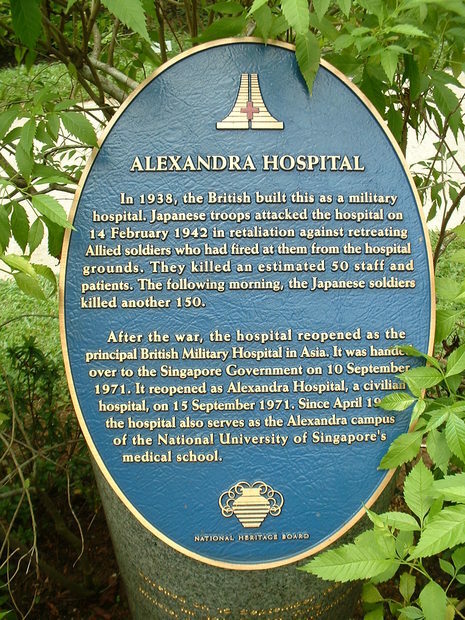 At about 1.00pm on 14 February Japanese soldiers advanced towards the Alexandra Barracks Hospital. A British lieutenant, acting as an envoy with a white flag, approached the Japanese forces but was bayoneted and killed. After the Japanese troops entered the hospital, a number of patients, including those undergoing surgery at the time, were killed along with doctors and members of nursing staff. The following day about 200 male staff members and patients who had been assembled and bound the previous day, many of them walking wounded, were ordered to walk about 400 metres to an industrial area. Anyone who fell on the way was bayoneted. The men were forced into a series of small, badly ventilated rooms and were imprisoned overnight without water. Some died during the night as a result of their treatment.The remainder were bayoneted the following morning; there were only five survivors, including George Britton of the East Surrey Regiment. 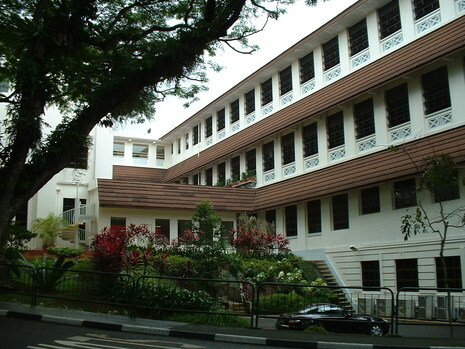 The Alexandra Hospital was also known as the British Military Hospital, Singapore. For a further account of the massacre see that listing. On 14 February 1942 Japanese Imperial Forces advanced through Kent Ridge down Pasir Panjang Road to Alexandra Military Hospital. The British recreated west through the Hospital. They set up machine guns on the first and second floors to cover their retreat. A lieutenant carried a Red Cross brassed and a white flag to meet the Japanese. The Japanese killed him. Among the patients in the Hospital were a four Company force nicknamed the Plymouth Argylls who were survivors of the 'Prince of Wales' and 'Repulse' which were sunk by Japanese torpedo bombers off the coast of Kuantan, Pahang, on 10 December 1941.